2007. Acrylic on Drywall. Private Space. Downtown Los Angeles, CA. 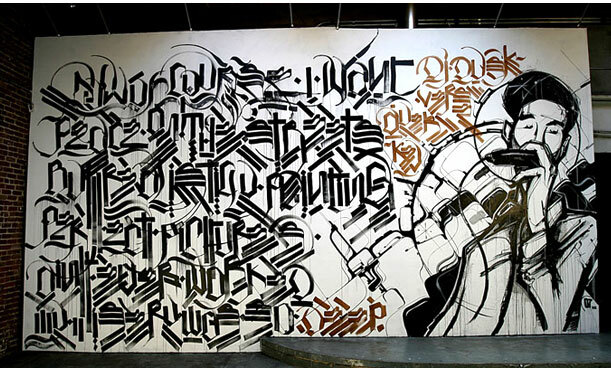 Retna AWR on the handstyles which is a 2-Pac quote….“Now of course I want peace on the streets- But realistically painting perfect pictures ain’t never worked- My misery was so deep.” The names in gold read….“DJ Dusk, Verse, Ayer, Kev”... Fallen Soldiers. Much Love to The Captan Family. You can see a shot taken in progress by Theo Jemison HERE.